Poignant production screened in church-based cinema will be the grand finale of city’s 2013 Brazilian cultural exchange programme. 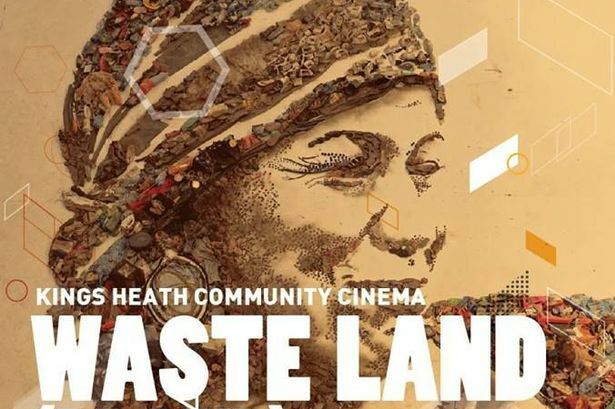 Birmingham’s Brazilian culture event Espirito Brum has teamed up with Kings Heath Community Cinema to screen the award-winning film Waste Land. The movie will be screened on Saturday, August 10th, at All Saint’s Church in Kings Heath. *The event is from 6.30pm to 9.30pm and tickets are priced at £5 for adults and £3 for concessions. Filmed over nearly three years, Waste Land follows renowned artist Vik Muniz as he journeys from his home base in Brooklyn to his native Brazil and the world’s largest rubbish dump, Jardim Gramacho, on the outskirts of Rio de Janeiro. There he photographs an eclectic band of catadores – self-designated pickers of recyclable materials. Muniz’s initial objective was to “paint” the catadores with garbage. However, his collaboration with these inspiring characters as they recreate photographic images of themselves out of garbage reveals both the dignity and despair of the catadores as they begin to reimagine their lives. Kings Heath Community Cinema was started in December 2012, in response to a local demand for such a project in the district over the 32 years since Kingsway Cinema closed in 1980. Once a month, the cinema screens films based on a public vote, from black and white classic To Kill a Mockingbird to Ealing comedy Ladykillers and eccentric French animation Belleville Rendez-Vous. Within the setting of All Saints Church, the big screen (240cm across) is placed at the head of the aisles, and windows are blacked out for a cosy vibe. There’s a licensed refreshments bar and an old-fashioned interval.